Once again South Korean Plain Archive’s passion for beautifully wrapped movies has resulted in a luscious SteelBook® edition. 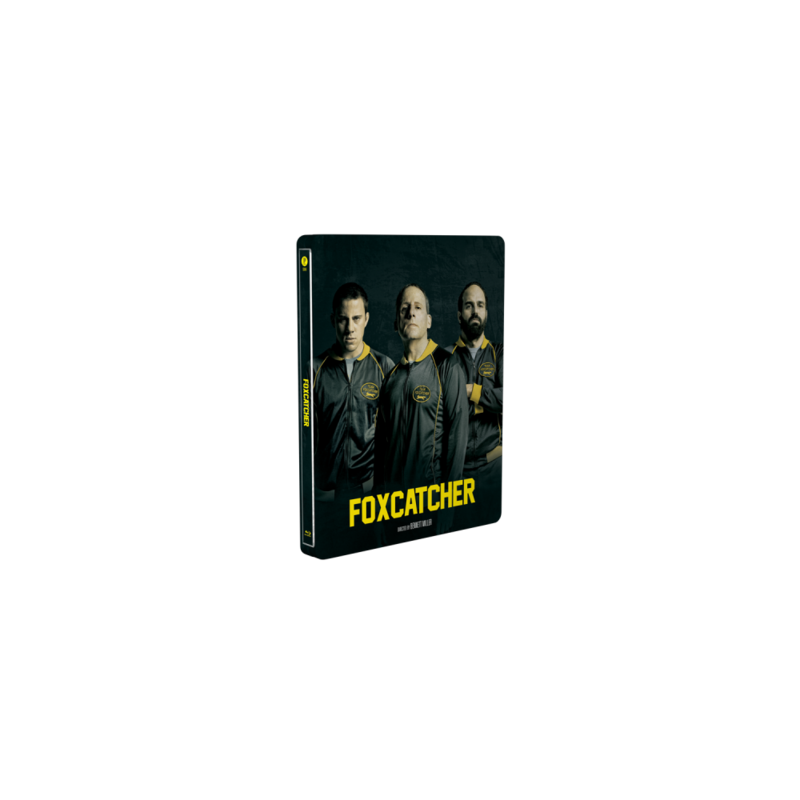 The biographical true crime sports movie Foxcatcher comes with an overall glossy varnish and debossing on the title treatment on the front and on the logo on the back! Olympic Gold Medal-winning wrestler Mark Schultz is struggling in obscurity and poverty in Wisconsin when he is invited by wealthy heir John du Pont to move on to his lavish estate to form a team and to train for the 1988 Seoul Olympics. Schultz seizes the opportunity, eager to step out of the shadow of his revered older brother Dave, a prominent wrestling coach and Gold Medal winner himself.